One of the questions we get asked most is ‘what’s a typical day like’? A couple of our students shared their thoughts on what it's like to study a college course at Brackenhurst. How do you travel to Brackenhurst and how long does it take you to get here? Niamh: I get up at 7 am and drive to Brackenhurst from home. It only takes me half an hour. Aimee: If I have a lecture at 9 am then I have to leave my house at 6.50 am. It’s not too bad because I have time to catch up on sleep on the bus! I spend 30 minutes on my first bus, then another 45 minutes on the Pathfinder 100 bus from Nottingham. Niamh: Lectures vary, sometimes they start at 9 am, sometimes 11 am. We have timetabled sessions four days a week. 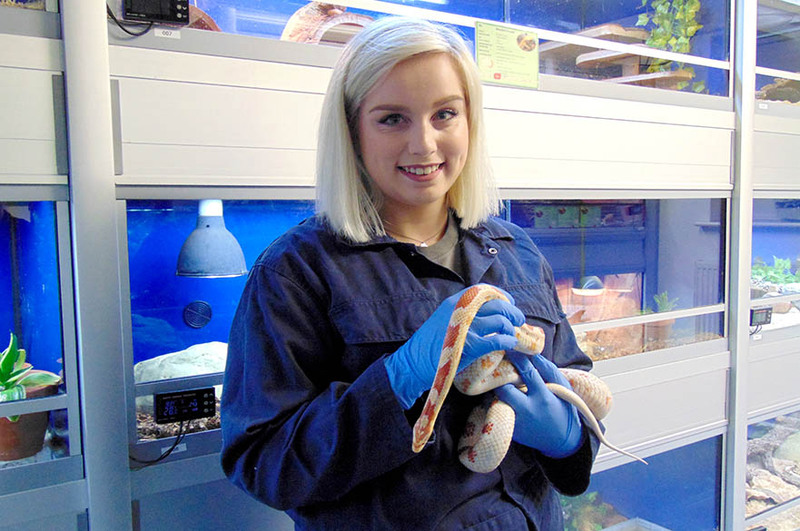 They can either be practical lectures where we are down at the Animal Unit or they are theoretical lectures and these take place all over campus. Aimee: My lectures can start at either 9 am, 10.30 am or 11 am, depending on the day. I had duties in the first year which were on a three-week rota and were for two days each week. This means that I would either start at 9 am or finish at 5 pm. In these duties, I would be feeding the animals, checking that they are all healthy and cleaning them out. Where do you go for lunch? Niamh: I usually bring my own lunch and we eat either in the common room or in the farmhouse. On our duties days we go into Southwell and get chips from the local chippy. Aimee: I spend most lunchtimes in the dining hall getting the same thing – chips, cheese and gravy! Niamh: We have about 40 assessments throughout the year but they range from small, classroom tests to bigger essays and projects. You also have a session every week called assessment support where you are in the library and get particular help with anything you are working on. Aimee: I had many assessments both years, most times I would have a couple of assessments at a time. I would work on these in the gaps between lessons in the library and make use of the books there. I would then continue this work at home using the online library to find books and journals. Where do you take a break? Niamh: I either meet friends in the common room or in the farmhouse where we chill, have a laugh and play games. We’ll play music on the computers and just relax with each other. Aimee: I like to sit outside the main hall near the pond. If it’s raining then I will go and sit in the Students’ Union as they have good music on in there. My breaks depend on the day as my timetable is different every day. Do you belong to any clubs or societies? Niamh: I am a part of the Disney Society and we meet every Wednesday at 6 pm where we watch films and play games. It’s a really nice space to socialise with people who all share a love for Disney. There’s always events on at the Students’ Union such as quizzes and there are trips throughout the year to places like Harry Potter World in London, which are really popular. Aimee: I’m not part of any clubs, but I have attended events at Brackenhurst such as BrackFest, which included live music, food stalls and animals. 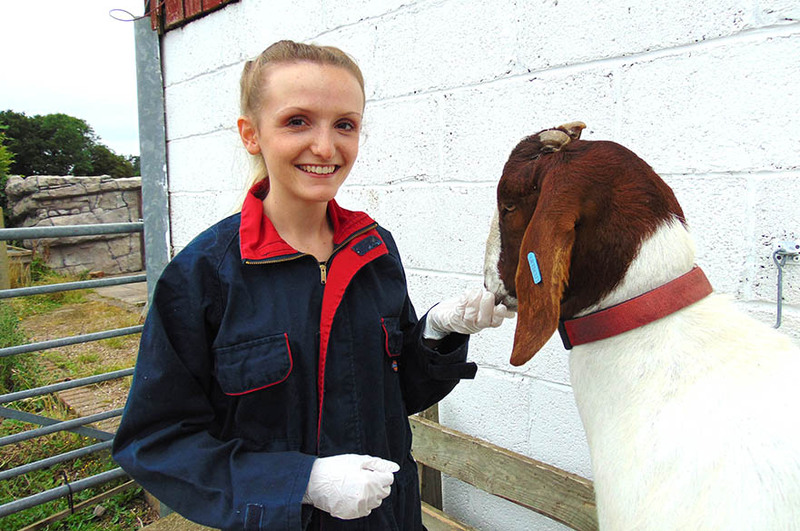 I chose this course because of the facilities, location, reputation and ability to gain additional qualifications.